-Antonio Gates is questionable with a toe injury. Malcolm Floyd isn’t expected to play with a hamstring injury. Legedu Naanee is experiencing hamstring troubles as well and it listed as doubtful. That leaves Buster Davis and Patrick Crayton as the Chargers’ two leading wideouts. This game should be a layup, right? The problem with a young team is that they can be influenced by things that are outside of their control. Whether it is fan/media pressure, emotional highs and lows, or injuries to other teams’ players, young teams let these issues mess with their heads. What to look for: If the Pats’ young defense plays down to the subpar receiving corps of the Chargers. -As I mentioned in my review of last week’s game, the Patriots young defense seemed to mature in front of our eyes against the Ravens. They finally showed the ability to step up when necessary and make plays to help win the game. Here is the real challenge, seeing how the defense comes back and plays this week against one of the best offenses in the league. Building on successful performances is what makes teams championship contenders. If the Pats’ defense can build on what they did against the Ravens last week, this is not a team that I want to play in week 16, 17 and the playoffs. What to look for: If the Patriots’ defense can build on their success from last week. 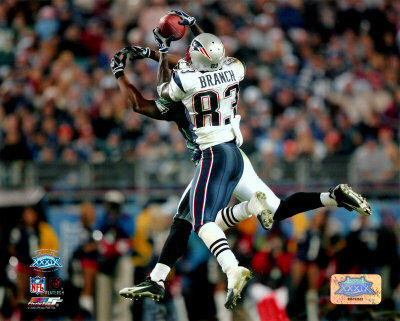 -Deion B ranch and the Patriots passing offense, in my opinion, over performed last week against one of the NFL’s best defenses. So it’s settled, the Patriots are a better offense without Randy Moss…not so fast. I agree, they played very well last week. Brady led two scoring drives in the fourth quarter, leading to ten points and forcing the game into overtime. Then, key plays in the passing game got them into a position for Gostkowski to kick the game winning field goal (so he still leads game winning drives Scottie). But, the Patriots do not lose after bye weeks. Coach Belichick and staff had two weeks to game plan ways to get the receivers open. The real test will come within the next few weeks. Teams will get tape on this offense without Moss and switch their game plan to adjust to the Pats’ new personnel. What to look for: How the Pats’ passing attack continues to perform without the presence of Randy Moss. -So much has been made of how much of a piece of garbage Brandon Meriweather is. 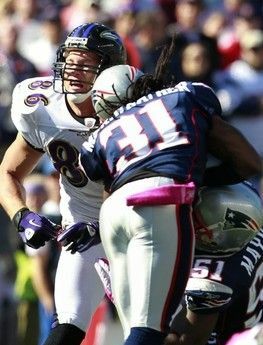 He was out to kill Todd Heap, clearly looking not to play football but just to injure players. Read my post on “the vilification of Brandon Meriweather” and then relax a bit. Anyways, Meriweather was subject to more media scrutiny this past week than he has been in his entire career. He was forced into apologizing for playing the way he has been taught to play for his entire life. He is being guilted into transforming his game, tackling players in a different way. “I’m going to be aggressive…I’m not going to change my game.” That’s what Meriweather says, and I’m interested to see how it translates onto the field. What to look for: How Brandon Meriweather responds to the criticism of his play, and its translation onto the playing field. I would bet a large sum of money that over the past two days, and probably for at least another two days, you cannot turn on sports talk radio for ten minutes without hearing about the issues with head shots in the NFL. I refused to turn my radio dial to WEEI today. I can’t take it anymore. I’m fed up with all of this whining and complaining about how players are purposely launching themselves at guys heads, trying to knock them out of the game . I’m sure that James Harrison’s statement that he was trying to hurt guys attributed to the enormity of this story, but Harrison is an idiot. Don’t let the words of one ignorant man paint the picture for an entire league. Let me ask you this question: If these three incidents did not occur all on the same weekend, would we even be discussing this issue right now? Absolutely not. But, because four players received concussions because of the actions of three football players, this is apparently a huge issue. I don’t enjoy listening to Mark Schlereth in the least bit. Take it from me, if you get a chance to head onto youtube.com at some point in the near future, look up Schlereth’s reaction to the NFL’s decision regarding these hits. The man goes off, and I completely agree with everything that he said. Schlereth stated, “If you take all the contact away, guess what you are? You’re soccer!” That is complete truth, spoken by a former NFL player. Americans love football because people get whacked. “Jacked Up” was one of my favorite segments on ESPN. Huge hits are glorified, making the league millions of dollars each year. Now you’re going to fine and suspend those very same guys that made you millions? HYPOCRISY! In 2005, Todd Heap signed a 5 year, $30 million dollar contract. As he signed on the dotted line, making himself a very rich man, Todd Heap also acknowledged the risk that he was taking by playing professional football. He needed to be aware that when balls are being thrown his way, there are going to be defenders that are going to try and stop completions from happening, any way that they can. As an offensive player running full speed down the field to score points for your team, it is critical that you realize the risk at hand. Very large defenders will be running in your direction trying to end any chance of you gaining yardage. That means collisions will happen. 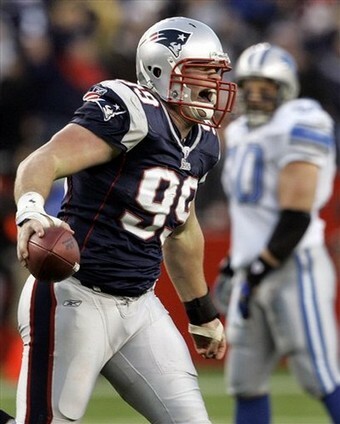 What makes football players so amazing, are instincts and reaction time. There are a ton of guys at our local Gold’s Gyms that are NFL sized people. None of those guys had the instincts to play in the NFL. During my playing days I was always told to stop thinking and to just react. Brandon Meriweather, James Harrison, Dunta Robinson, and the rest of the defensive players in the NFL get paid millions upon millions of dollars to react. Their instinctual reaction speed is what makes them so good. Now, by imposing huge fines and possible suspensions, you are forcing these defenders to calculate every move before it is made. Do you really want Ray Lewis thinking about how he is going to hit Ochocinco while Chad is catching a pass over the middle, or do you want Lewis just to lay him out and start his celebrating? I don’t know about you, but I’ll take the latter option all day, every day. Well, training camps are begginning today and what better time to close out my rankings. Today I look at the last line of defense, the safeties. A very demanding position the safety is asked to cover a large area. Set back from the line of scrimmage, safties need to be able to diagnose plas and formations and communicate them to the rest of his secondary. Some of the most notable defensive players in the league play the safety position. Safties need to be able to do all tasks on the field. They need to be able to run with recievers as well as tight ends, come up to make tackles, or be responsible for a third or half of the field in deep zone coverage. The AFC East hosts some very young budding stars at this position. 1) Buffalo Bills- OK, you can say whatever you want but I had to throw them a bone here. It may be the only thign they finish first in, unless you count losses of course. The Bills have an extremely deep and very talented core of safties which is what warrants them the number one ranking here. Jairus Byrd busted onto the scene last season with 9 interceptions! Donte Whitner has been a very solid Free Safety for this team for 5 season and his injury last season allowed Byrd to shine. Whitner, a former first rounder out of Ohio State is a much better coverage guy back there than Byrd, but he lacks the play-making ability of the second year ballhawk. It will be vey interesting to see what happens with this group, I predict Whitner is moved over to strong safety to start the season because Byrd was the lone bright spot in a forgettable 2009 season for the Bills. The strong safety for the Bills last season was George Wilson, a 5 year vet out of Arkansas. Wilson finished second on the team in tackles and contributed with four interceptions of his own last season. Wilson saw his first season of serious playng time last year and played well. If Whitner (my presumed starter) has trouble with his transition, Wilson will retain his duties thus making another Bills first round draft pick moot. The main thing to know about this group for the Bills is that they have three starters, some teams in this division aren’t sure if they have one. 2) New England Patriots- New England couldv’e easily been ranked one with Brandon Meriweather alone. After struggling with the schemes of the hoodie’s defense early in his career, Meriweather has quickly turned into a star at the position. The game has started to slow down for the former Hurricane standout and allowed him to fly all over the field making plays. He is also the reason that the pass defense has not suffered with all of the changes at the corner back slot. Opposite Meriweather is a bit of a question mark. James Sanders started the first game of the season only to be demoted to reserve duty for most of the year. He finished strong and started the last four games which gives him the edge on Brandon McGowan. McGowan started 11 games for the Pats’ last season but played himself out of that role by week 14. Both players have shown flashes of promise but whoever is most consistent during camp will liekly get the job. No matter who wins the job, look to see both 6 yr vets see the field for New England. The combination of these three talents gain them the two spot, but the inconsistent playat free safety keeps them from top billing. 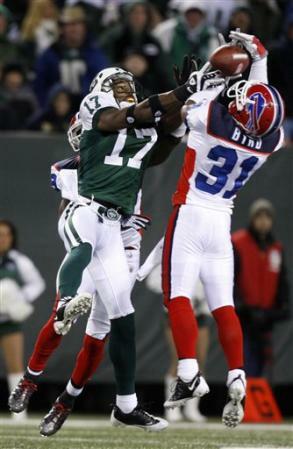 3) New York Jets- The Jets are bringing in some new talent ofter the departure of Kerry Rhodes. Rhodes made soem big plays for this defense during its playof push and his absence will hurt the unit. Replacing Rhodes will be Brodney Pool who came over from the Browns this off-season. Pool has good ball skils at the safety position and if I were to label him, he would fall into the; covers better than he tackles category. Pool has 11 interceptions in his 5 season of play and with great corners on both sides, Pool should have a lot of opportunities to make plays in coverage. The strong safety for this defense is Jim Leonhard. Leonhard followed Rex Ryan to New York after becoming the starter during the 2008 season with the Ravens. Leonhard is a high motor guy who always seems to be around the pile. Extremely undersized, the former badger from Wisconsin plays big. He hits hard and throws his body around the field. With Pool’s coverage skills, and Leonhard’s seemingly disregard for his body, this combination has a good chance to gel and be a very solid group for the gang green. Backing up Pool and Leonhard will be Eric Smith. Smith managed a few starts last season and has good size (6’1″) for the position, especially wen compard to Leonhard. 4) Miami Dolphins- The Dolphins find themselves in the four slot here due to them having no idea who will start at free safety. Chris Clemons, Reshod Jones, Tyrone Culver, Jason Allen? Two of those guys are nickle and dime corners in some sets. Clemons, the second year man from Clemson, will get the first shot at the job in my opinion. He has good coverage skills and great speed to cover ground. He lacks physicality that is coveted by this coachign staff and his communication skils are a work in progress. He showed some signs last season that he had what it takes in the NFl and this coaching staff is putting a lot of pressure on him to follow through. Yerimiah Bell enjoyed his first Pro Bowl selection last season and is a very solid stonrg safety. He hits a ton and has great athleticism to cover both tight ends and recievers. His tackling skills are above average and he will need to take Clemons under his wing in order for the group to be effective. This position is no doubt the biggest focus in Dolphins camp this off-season, and it may be the reason this team does not get over the hump and make the playoffs.